This unit is currently on display at The Fireplace Element. 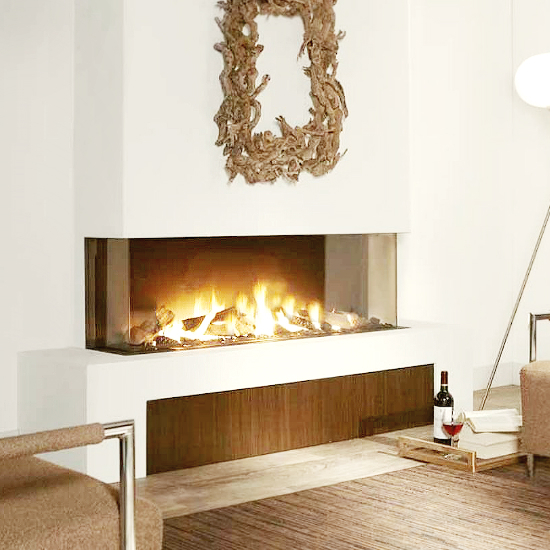 The Trisore 140 is a three sided or "Bay" style fireplace with a frameless design. This very modern, fresh look comes from the Netherlands. 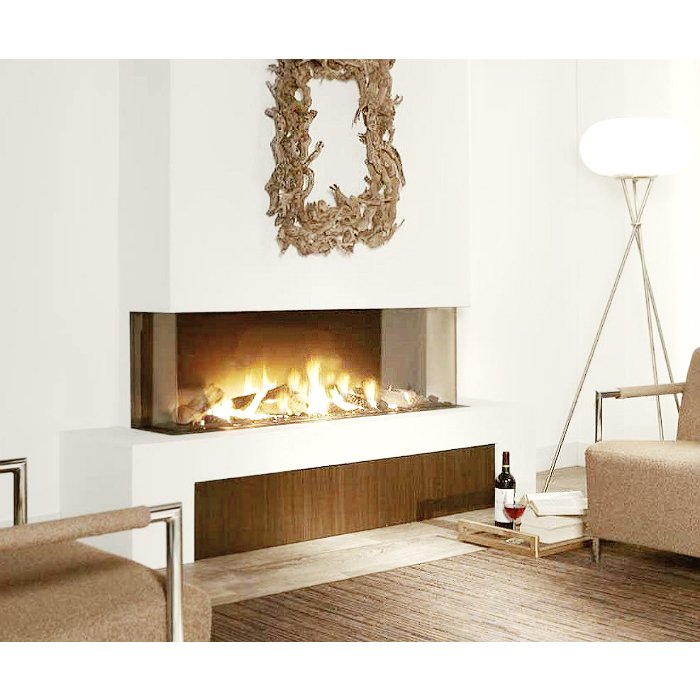 The design firm and manufacturer is Element4 B.V., an award winning fireplace manufacturer. Although you will find a vast range of different gas fires in the Element4 collection, they all have one thing in common. Their well thought-out simplicity. Because we believe that simplicity is the key. Simplicity in construction simplifies installation and maintenance. Simplicity in use guarantees a cozy and warm atmosphere in the home with literally just one push of a button. Finally, simplicity in design results in designs that do full justice to the unique beauty of the fire. Element4 gas fires. Simply the most beautiful!